This past month, Liberty Electronics held their annual Kids Day. Despite the rainy weather, this did not dampen the fun and excitement as over 70 guests were there to enjoy the event. 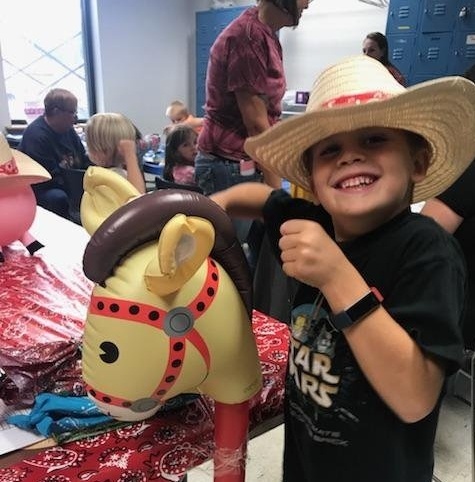 This year we used a western theme, and each child was also given a cowboy/girl hat, handkerchief, sheriff badge name tag and a goodie bag. (A few adults may or may not have tried to get hats and badges for themselves!) Being indoors did nothing to limit anyone's enjoyment of the numerous planned activities, crafts, and games. Thank you to the Reno Fire Department and Community Ambulance for giving the kids tours of their vehicles and equipment. Thanks too, to tattoo artist, Chris Morrison and wife Jen, (both employees but also owners of Rotten Ink and Tanks T’s) who made the shirts and did the face painting. One activity included rock painting, which the kids hid, and hopefully people will find them and post pics to our Facebook page. All in all it was another fun event with lots of smiles and laughter. 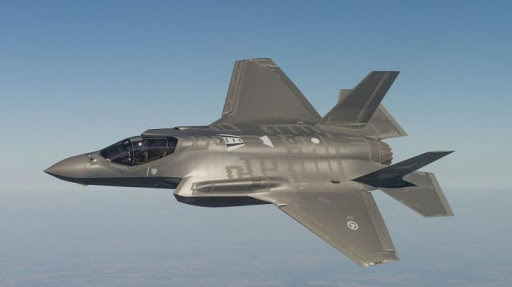 Liberty Electronics is honored to produce numerous assemblies that are used in the direct production of the F-35 Joint Strike Fighter, as well as other critical components that are used in ancillary flight hardware on the system. Liberty has served this program since the early days of its inception and qualification, and now continues to support the effort through full rate production. Liberty’s dedication and commitment to providing highly reliable products to the complete satisfaction of our customers, helps to ensure that our war fighters are confident that they have the tools they need to defend freedom and God-willing, return safely to their families. 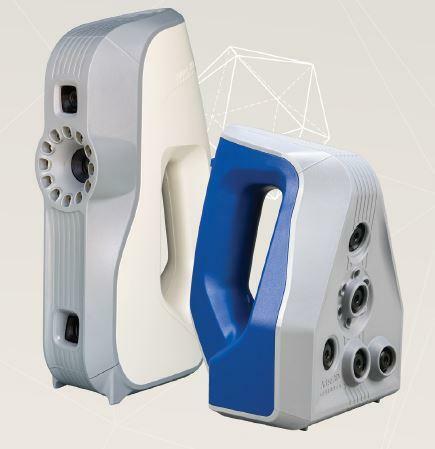 Liberty Electronics has two handheld portable 3D scanners. The Artec Eva uses structured light scanning technology and is ideal for making a quick, textured and accurate 3D model of medium sized objects such as a wiring harness. It scans quickly, capturing precise measurements in high resolution, which allows for almost unlimited applications. The Artec Space Spider is a high resolution 3D scanner that uses blue light technology and is great for capturing small objects or intricate details of large industrial objects in high resolution, with accuracy. Both scanners have many applications in areas such as reverse engineering, quality control, product design and manufacturing. Braided coverings and shieldings are an excellent way to make wiring configurations neat and uniform. Braiding gives wires more flexibility and a longer lifespan and can also offer a layer of electric protection or abrasion resistance. There are two different types of wire braiding widely used in the industry, machine braiding and premade braiding. Of these, machine braiding offers more versatility, cost savings, and consistency. This option should be something a contract manufacturing partner should be able to do in-house. Since 2013, Liberty has added several 3D printers to its roster and is looking at the possibility of adding metal-capable machines in the future. Additive manufacturing has proven to be incredibly successful thus far as the company has been able to design and produce tools, fixtures, jigs, assembly aids, and specialty packaging, as well as create accommodations for employees with disabilities. These applications have improved efficiency and increased productivity with reduced quality issues and process variation. With each passing year, Liberty Electronics has to say goodbye and thank you to a group of dedicated employees who have faithfully done their work and have earned the right to retire. This year we've had seven we would like to recognize now. Sue Angelucci – Retired April 2018 Sue worked at Liberty for over 10 years in the purchasing deptment at the MIL facility. Kris Flinchbaugh – Retired June 2018 Kris worked for Liberty for 10 ½ years in our Reno facility on the engine line. John Siroachman – Retired July 2018 John worked for Liberty for 4 ½ years also at our Reno facility working on both prep and routing. Judy Rice- Retired July 2018 Judy worked for Liberty for 24 ½ years at our MIL facility on many different military lines. Diana Hargenrader – Retired August 2018 Diana worked at Liberty's Reno facility on multiple prep lines for 10 ½ years. Karen Conant – Retired October 2018 Karen worked for Liberty for over 20 years in our MIL facility on soldering for many different military lines. Edward Frantz, due to Retire in December 2018 Sadly, Ed passed away unexpectedly in September of 2018, but we wanted to honor his labors. Ed worked for Liberty for 3 years in our Reno facility on the engine line. We are grateful for your many years of contributions, and wish everyone well. You received this email because you are subscribed to Marketing Information from Liberty Electronics, Inc. .